Serving grits with fish has been around as long as shrimpers have been living along the South Carolina coast, shrimp and grits was a fisherman’s breakfast for a long time and probably still is. Recently, maybe in the past 20 years, shrimp and grits has been brought to the dinner table and with that the flood gates opened on what Charleston chefs started doing with grits as a base for any number of seafood dishes. 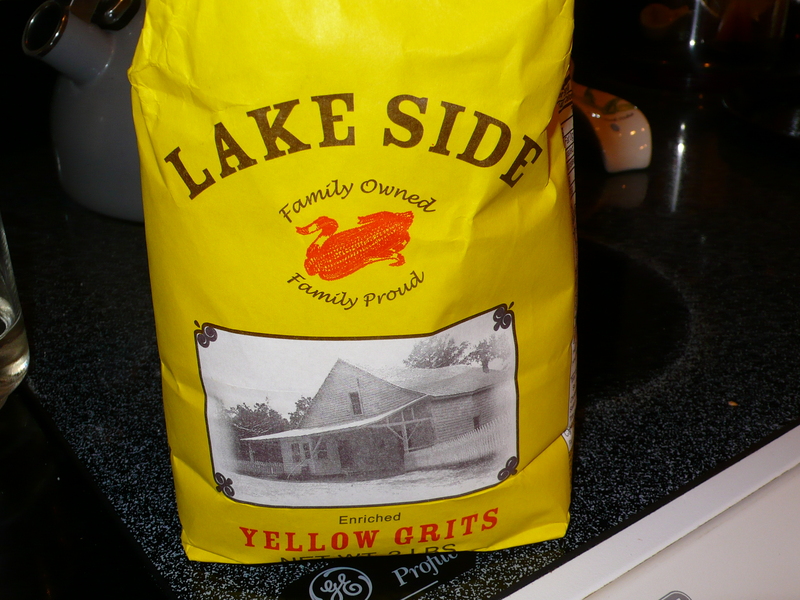 This has become one of my favorite starches to pair with fish, and though grits have always been associated with the breakfast table, they have always been too heavy for me to eat in the morning. Charleston has not only given them a certain amount of sophistication, they have, appropriately, set them on the dinner table with foods that lighten their ‘stick to your gut’ heaviness. I am not one of those Southerners who is against quick grits, so if you decide to use the quick ones, go for it, but read the instructions on the package instead of following my recipe. The slow cooking grits will obviously be the the tastier option. In a 3- to 4-quart saucepan, bring 4 1/2 cups of water seasoned with 1 teaspoon of salt to a boil. Slowly stir in 1 cup of grits. Continue stirring and reduce heat to low. Cook for 30 to 40 minutes, stirring frequently to prevent scorching. 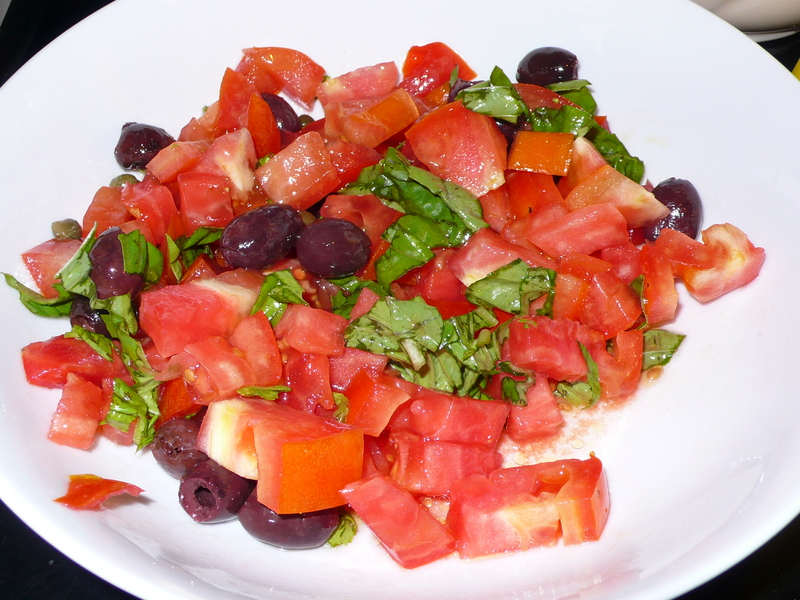 In the meantime combine tomato pieces, olives, capers, 1 tbsp of olive oil and basil leaves in a small bowl. Set aside while preparing the fish. Preheat a cast iron pan or grill pan over medium-high heat. Brush the fish with the remaining olive oil and season with salt and pepper to taste. 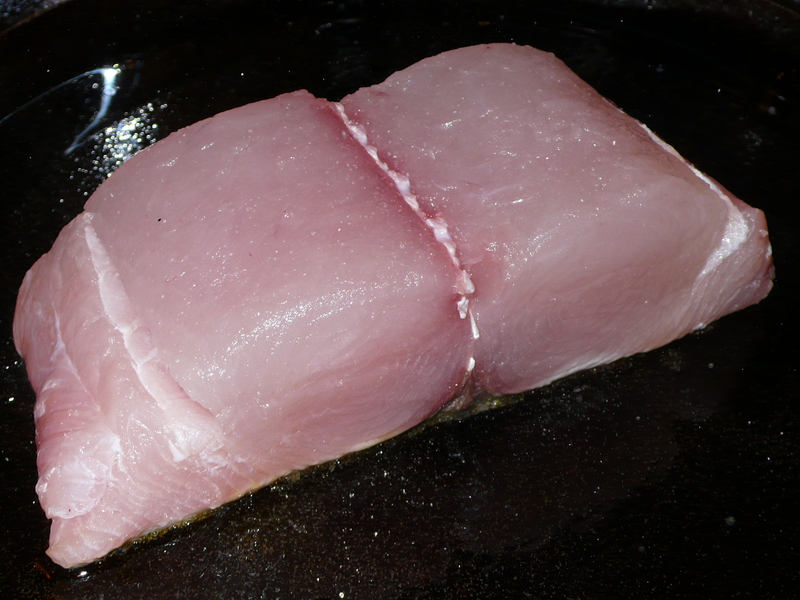 When the pan is hot place the fish on it, skin side down, sear for about 6 minutes on each side or until opaque in the center of the fish. 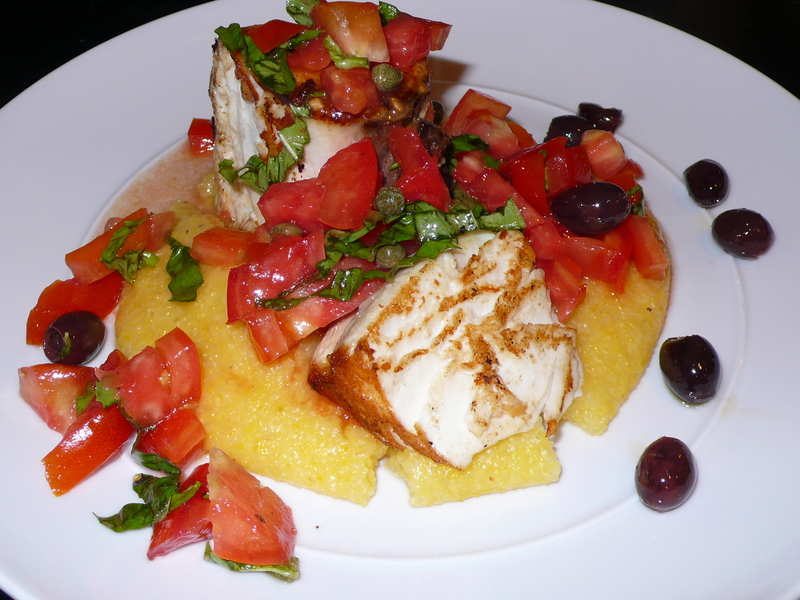 Spoon the grits onto each plate, place the wahoo on top of the grits and smother with the fresh puttanesca and its juices. Serve immediately. ~ by italicious on September 5, 2010.